Yes, yes, we know you are eager to know who won the Contest, but before we get there, we would like to introduce you to the creative personality who judged the entries and made the big decision! A global citizen, the design bug in Bhargavii took her to Raffles Design International, Singapore. After being a top student there she worked in Singapore and Dubai in reputed firms. Her cutting edge design sense and clean photographic aesthetics are seen today in several retail, F & B and residential interiors in these world capitals. She set up Edge Design Studio with the express desire to change the retail landscape in India , using her knowledge and skills absorbed from such retail capitals. A dynamic entrepreneur herself, Bhargavii has a keen understanding of business issues. A singer and arts patron, Bhargavii along with her associates transforms her design space into a venue to support all forms of art and culture. Bhargavii also writes periodically on interior design for a few publications. We thank Bhargavii for honouring us by setting time aside to judge this Contest and share her views. 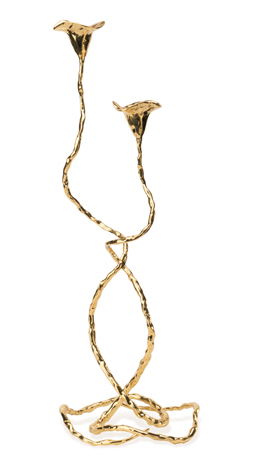 So who won the beautiful Heritage Cup & Saucer by arttd’inox?? Any guesses???? Well…!! We have a tie!!! 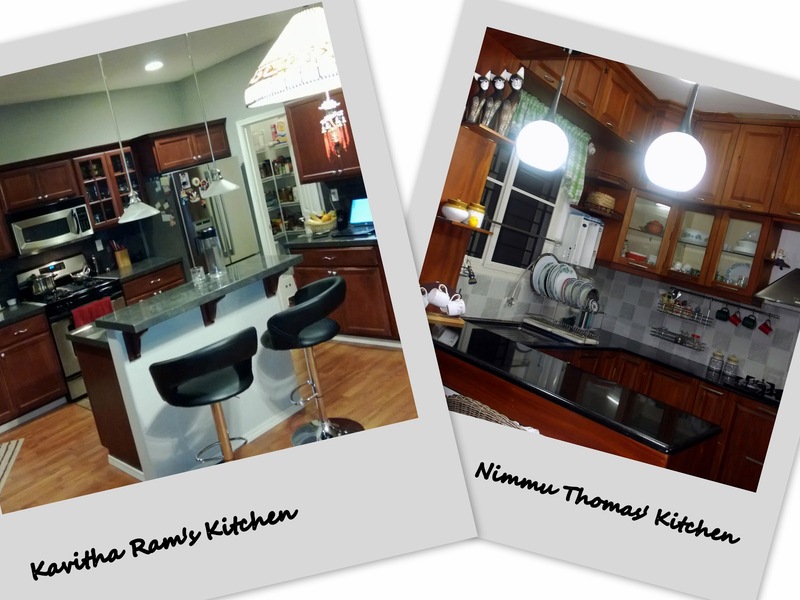 Bhargavii thinks that both Nimmu Thomas and Kavitha Ram have equally beautiful kitchens! CONGRATULATIONS, Nimmu Thomas and Kavitha Ram! Your Heritage Cup Sets will soon be on their way! We also congratulate all the participants, especially our shortlisted candidates for their effort and enthusiasm in participating in the Contest. All of you have such yummy kitchens! And here’s to more contests, more prizes and lot more fun in the Z Community! 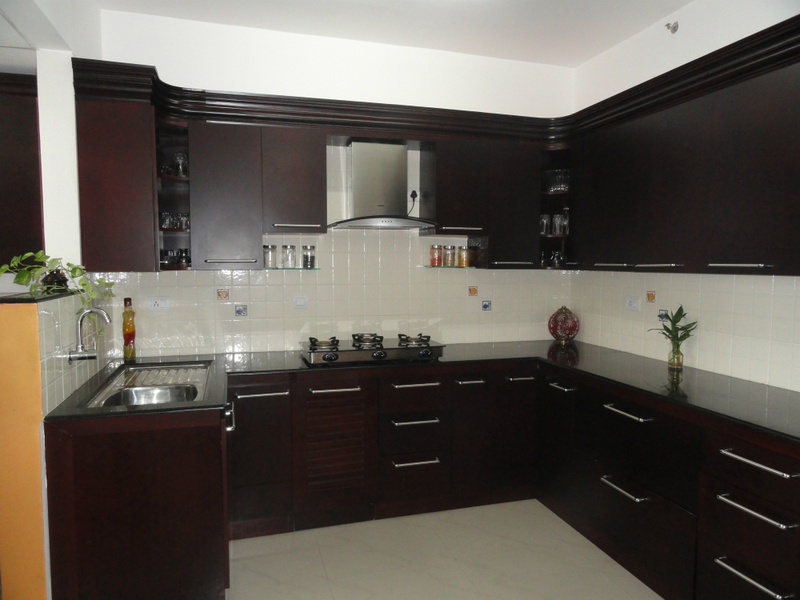 In search of Beautiful Kitchens…. 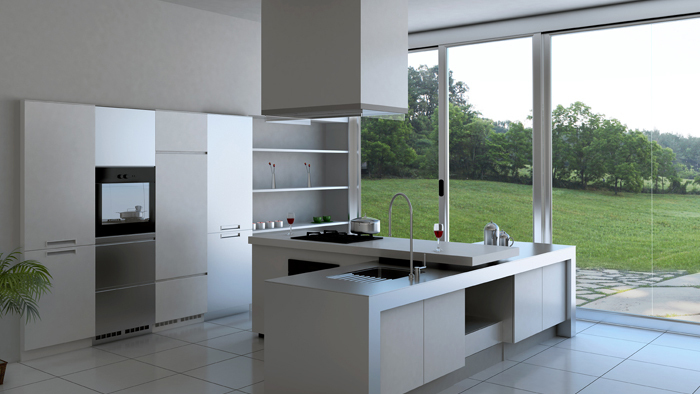 Kitchens are no longer a mundane place where meals are churned out…They have transecnded functionality and is now a very aesthetic area where folks unwind and de-stress by trying out new recipes and ideas ! 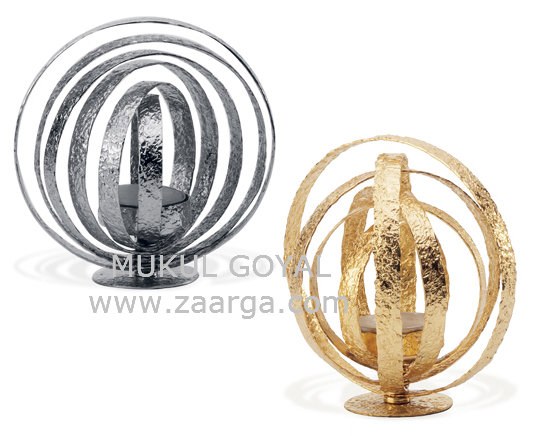 We at Zaarga love beautiful and well accessoried spaces. 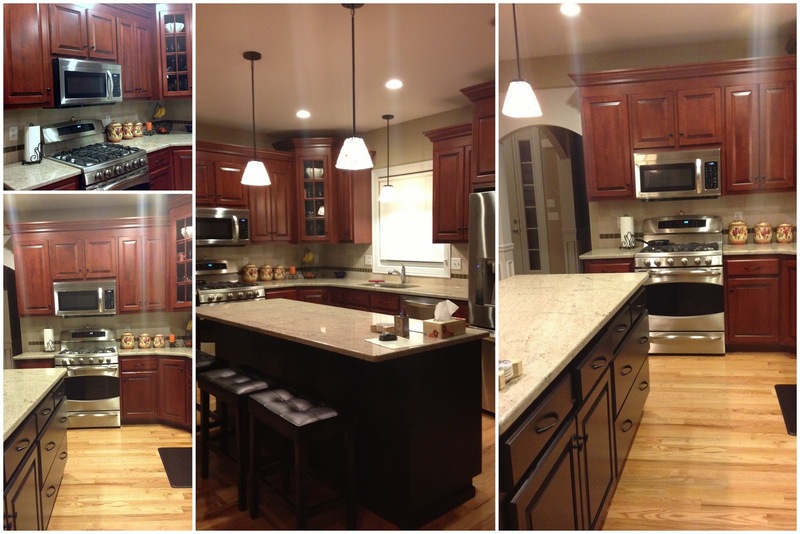 So we had a whim to hunt down kitchens with character and soul…and that’s what we have been doing this past week though our “Beautiful Kitchen” Contest! Mary Isaac’s woody, red-white, cherry themed one was one of our earliest entries, and it was love at first sight! 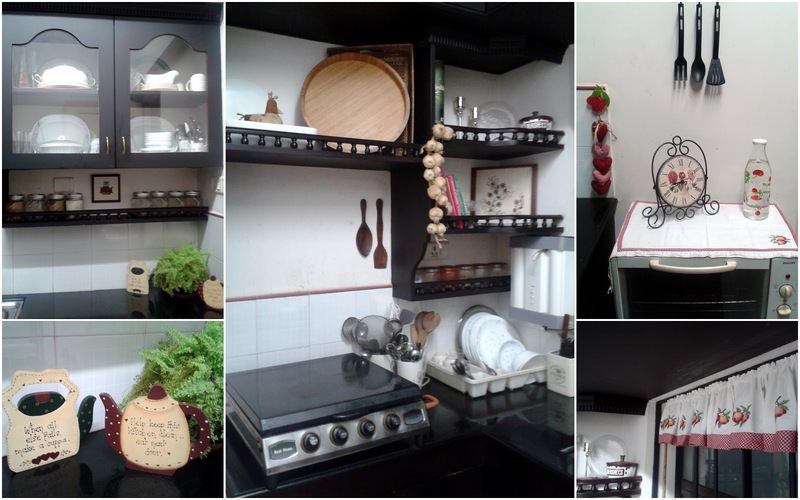 Mary says “Though on any given day, I’d place my bets on a rather spacious island kitchen complete with its own mini herb garden, the fact is a puny 6 x 7 sq ft space in my rented apartment is what I have for a kitchen! 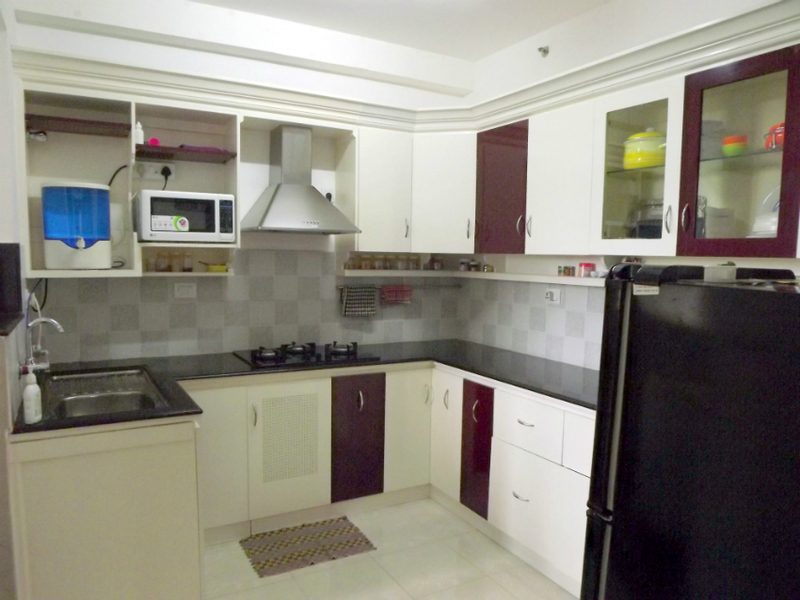 Praveen Manikantan, a finance professional who loves travelling and blogs about finance fundas decided to keep his kitchen simple & sleek in a pleasing offwhite shade. 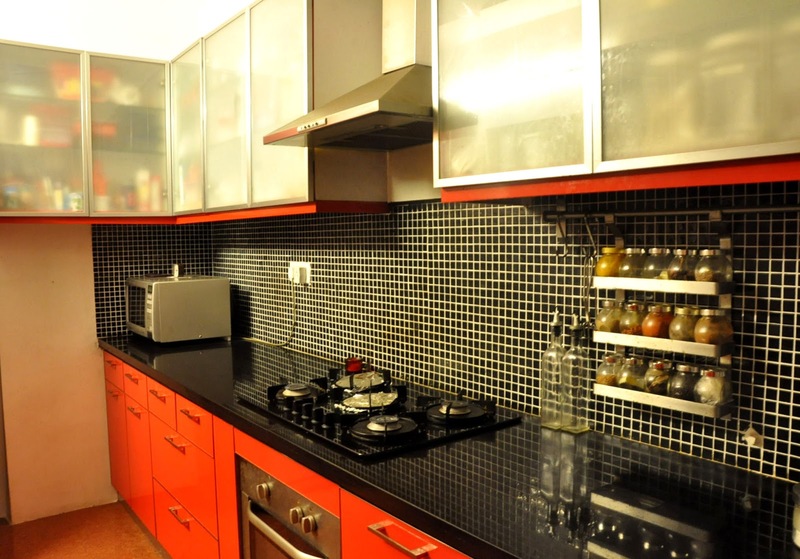 Nimmu Thomas owns a beautiful half open kitchen with a breakfast counter. The mini replicas of good ol’ pickle jars, green gingham pelmet on the window and the ceramics on display are a statement of her fine taste and personal style. 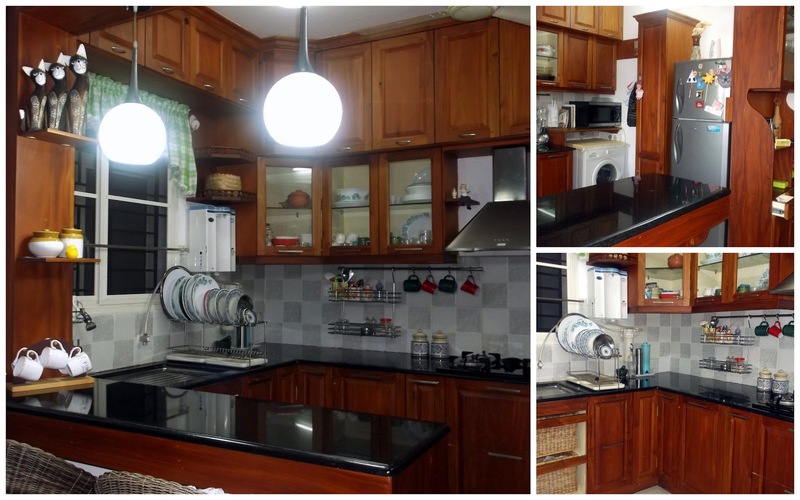 Anu Ignatius added splashes of colour to her sleek all wooden kitchen with few bottled plants and a colourful bottle preserve..
Sreekumari Rajan spends quite a bit of her day in cooking, and loves the traditional wood finish for her kitchen. 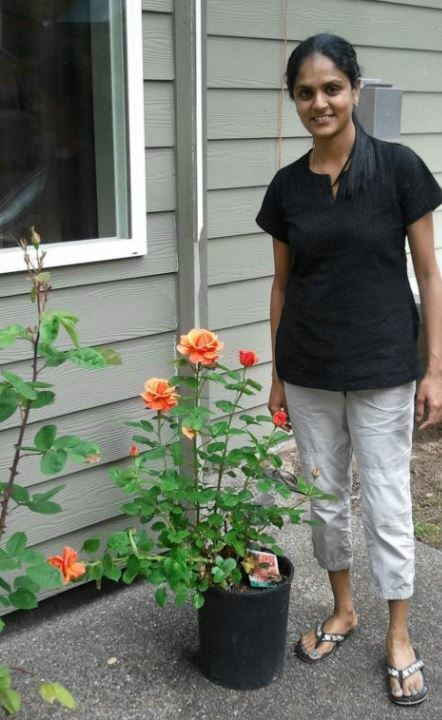 Kavitha Ram packs a lot of activities in her kitchen space! Her choice of black & steel accessories & the fruit theme, complete with the vines on the pelmet cut the monotony of wood and bring colour and fun to the space. 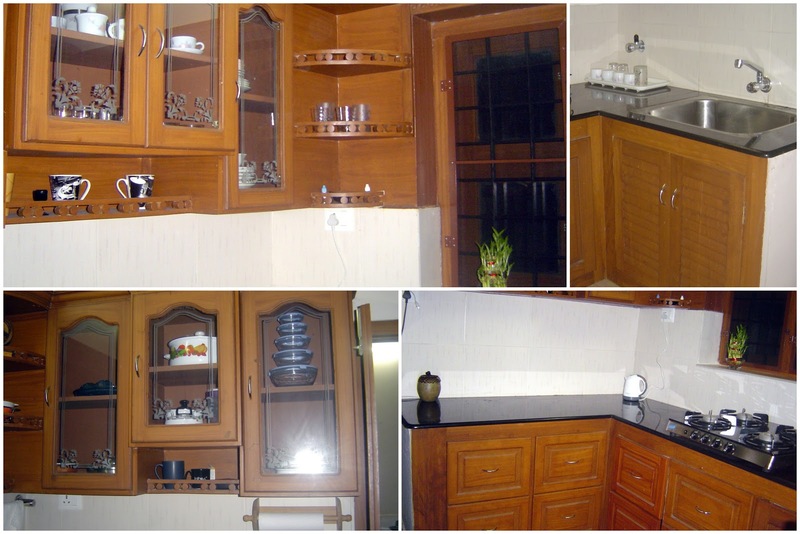 “Kitchen is the hub of the home which I think is the most hardworking room. It should hold the charm and appeal that evokes creativity in the cook and speaks about the personality of the owner. 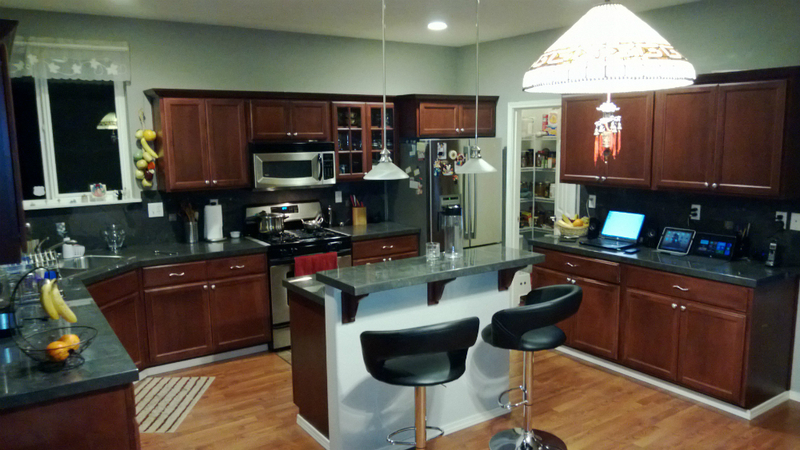 My kitchen was the deciding factor for us when we bought our house. Steel and chrome with grey is our theme around. 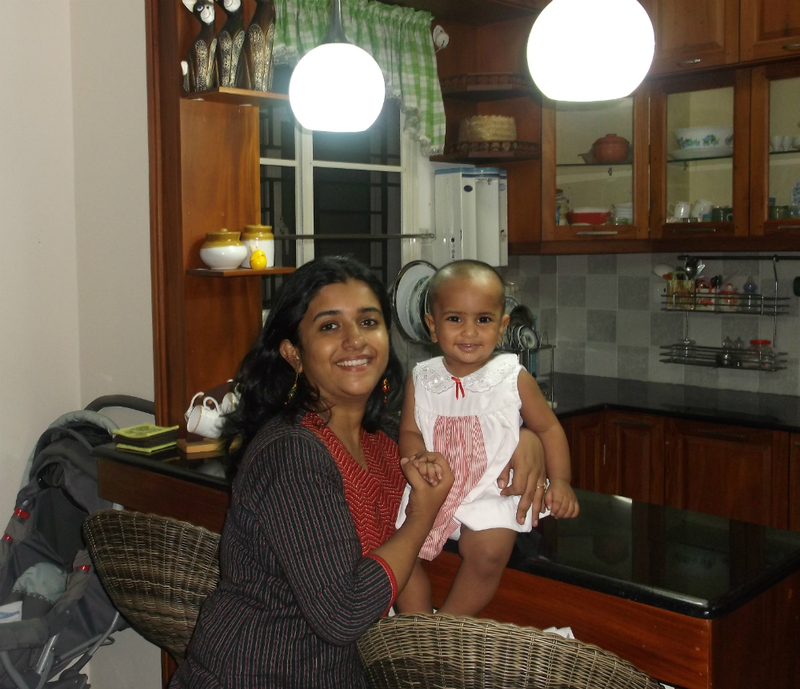 So we have steel back splashes ,steel appliances with cherry floors and cabinets that give it that contemporary touch….Thanks for giving us the oppurtunity and organizing such a contest“, says Kavitha. 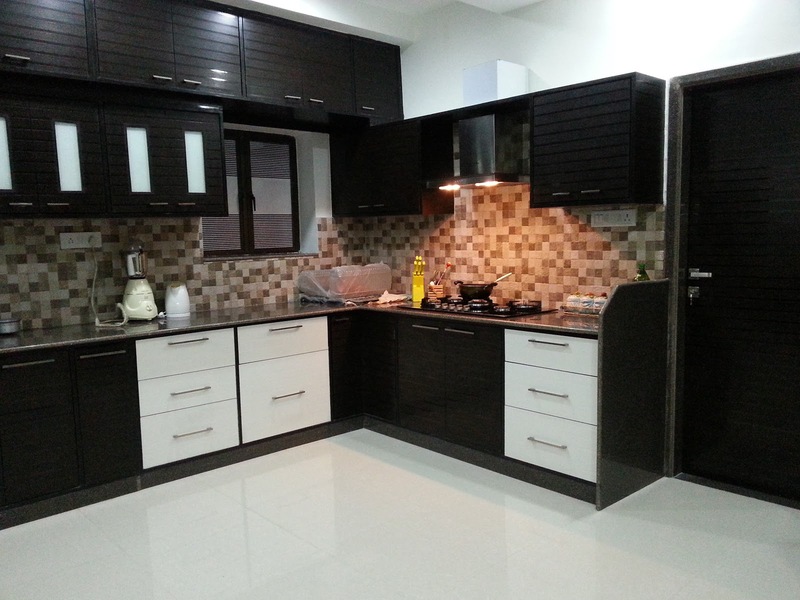 Munira Sayed’s brand new kitchen is beautifully crafted in dark wood with white accents. Vidya Sundaram likes a no-nonsense, practical kitchen for her quick sessions at the kitchen; and the island doubles up as the table for their regular family meals. Bright colours in the kitchen need to be tackled with care…And Saira Biju has, with an artistic ease, achieved beauty while being bold. Whether you are a social butterfly or a couch potato, there is no escape from hosting meals at your home, be it a quick lunch for a close friend or an elaborate five course meal for your boss and colleagues. 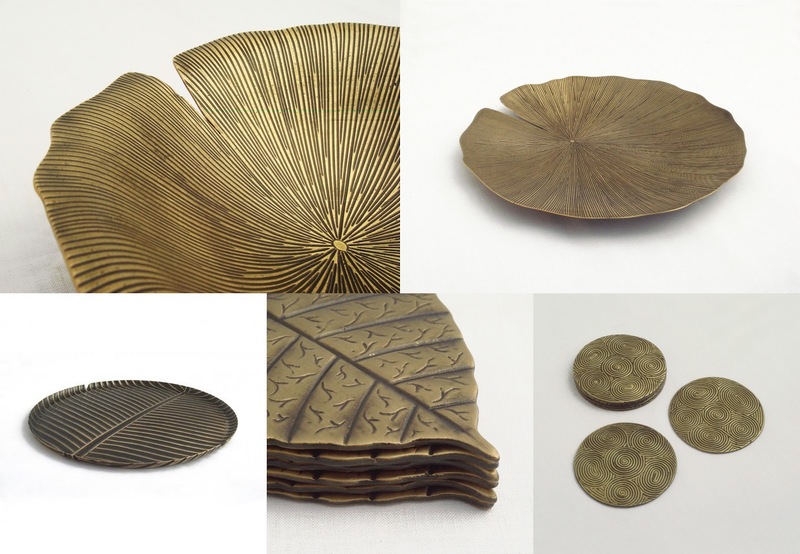 You might save lot of effort by ordering food or hiring caterers, but the table accessories and decor definitely needs to have your style to pamper your guests with its subtle luxury. You could start by picking a theme/look for your table, depending on the menu. For example, if its predominantly an Indian menu, go for a rich indian look with rust, orange, beige and some brass cutlery. 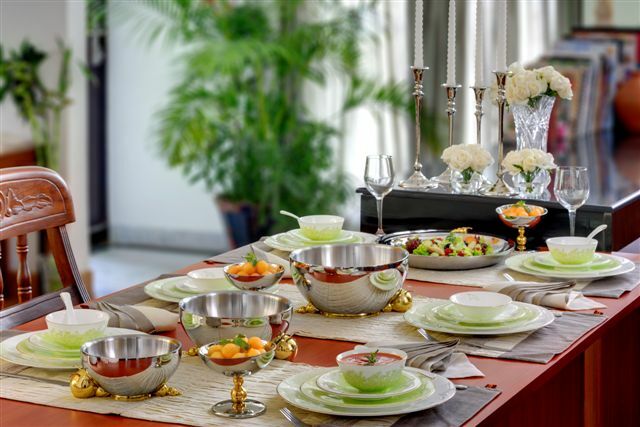 For a continental meal, you could go for muted colours, even the classic white and black, with crystalware. 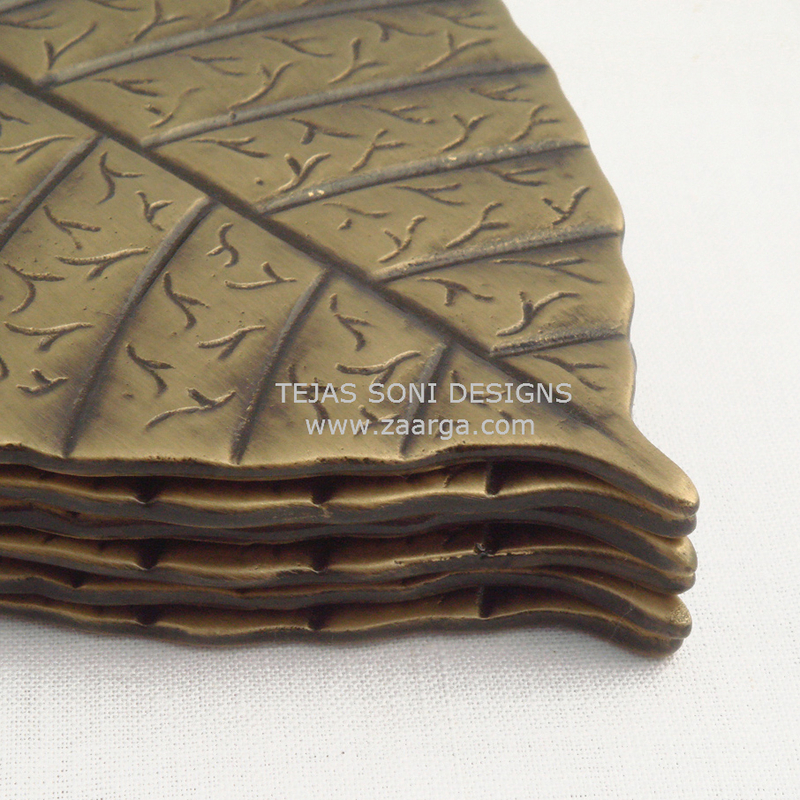 To cover or not to cover?If you have a table that you want to show off, skip the table cover and just use a set of elegant placemats and runner. 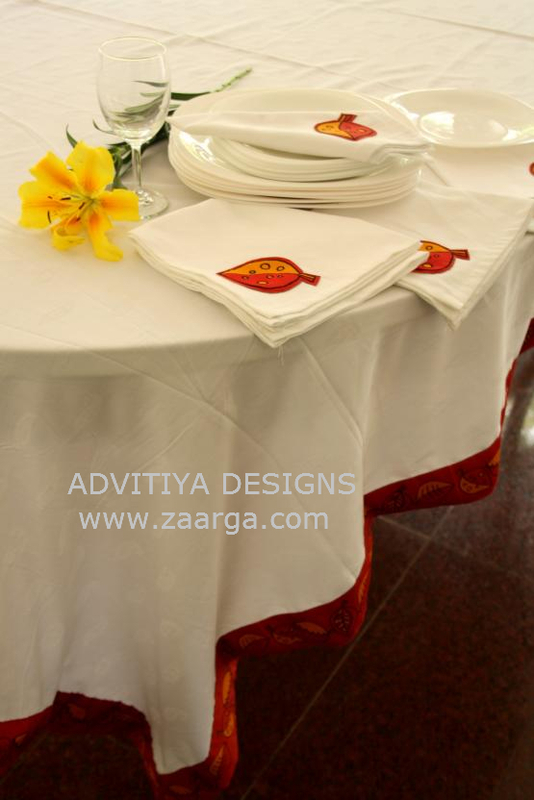 For a warm,cosy feel or for adding colours to the table go for table linen that suit the occasion. Flowers!!! Don’t forget them! A bouquet of bright, fresh flowers can lift the mood of your guests and set everyone at ease. 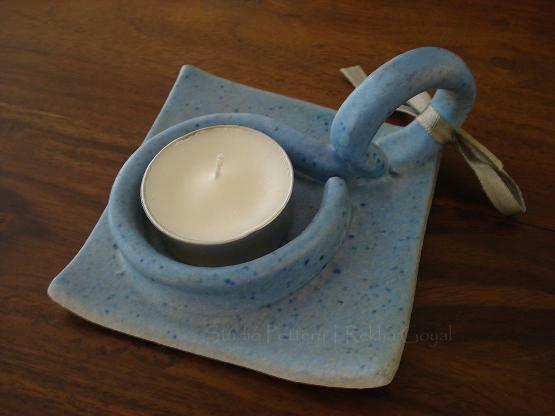 For dinners, candles are an easy and quick way of enhancing the ambience. Bring out your best tea-light stands or votives or even bigger candle holders and use them liberally to play with the magic of light. 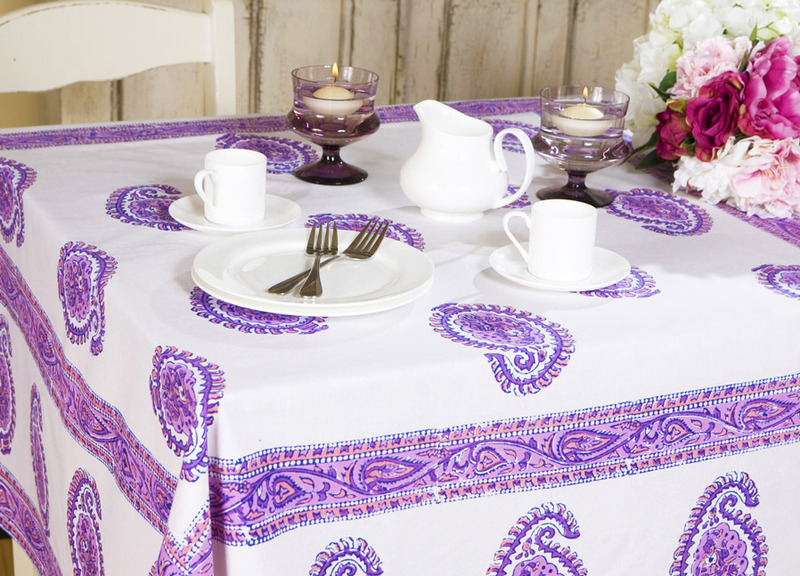 Choose your crockery with care and co-ordinate them well with your table covers or placemats. 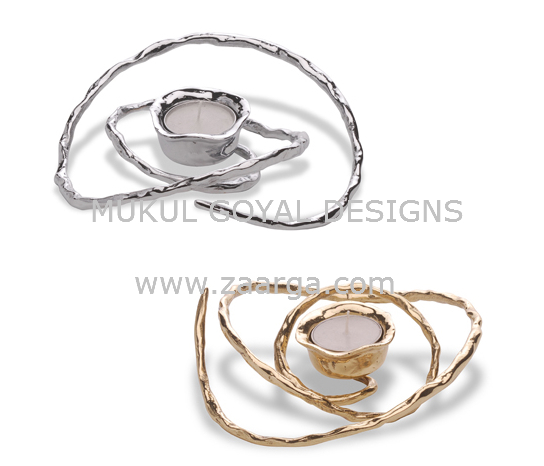 Crockery with texture can give a feel of luxury. For plain/simple crockery, you could go for place-mats with texture and colour. And finally, top off the ambience with the scent from a good aromatic oil. Thyme, citrus and rosemary oils can create freshness and stimulate the taste buds. 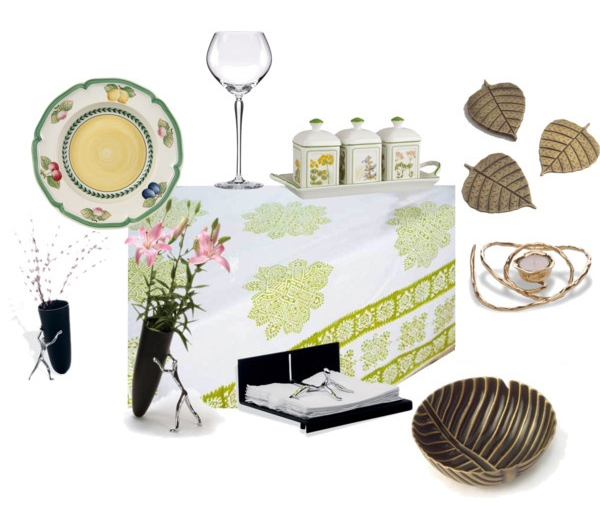 So gear up and entertain in style!!! While you go about planning all those lunches and dinners that you may have lined up this festive season , table arrangements tend to be relegated to the very back of your mind space . Red, green and white are the Christmas colours and you could use those to accent a neutral base colour. 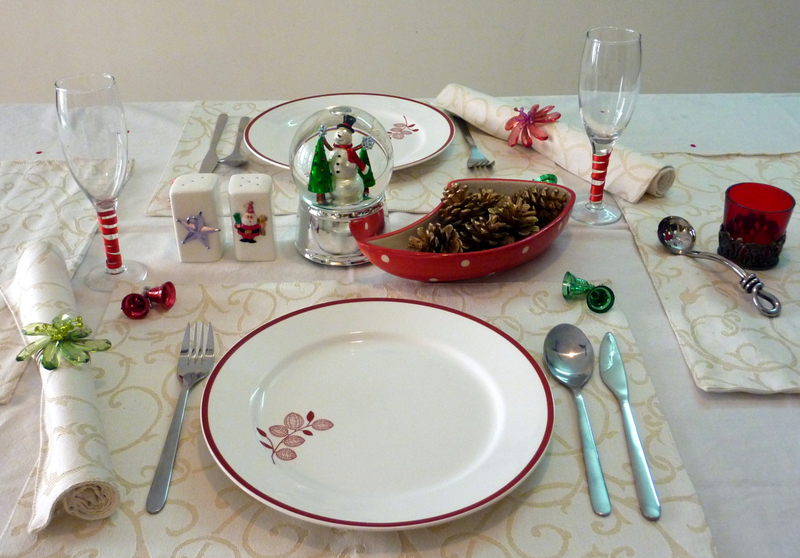 You could try some easy tricks by using some of the Christmas Tree decorations on your table. So here’s something we put together to awaken your creative self and inspire you to come up with your own Christmas Table Setting! Before we sign off – we would be happy to see how you have decked up your house for Christmas. So do send us images and we will share it with the Zaarga community!